Christmas 5 Player Piano Rolls First Noel, 12 Days, God Rest Ye Merry, Etc. 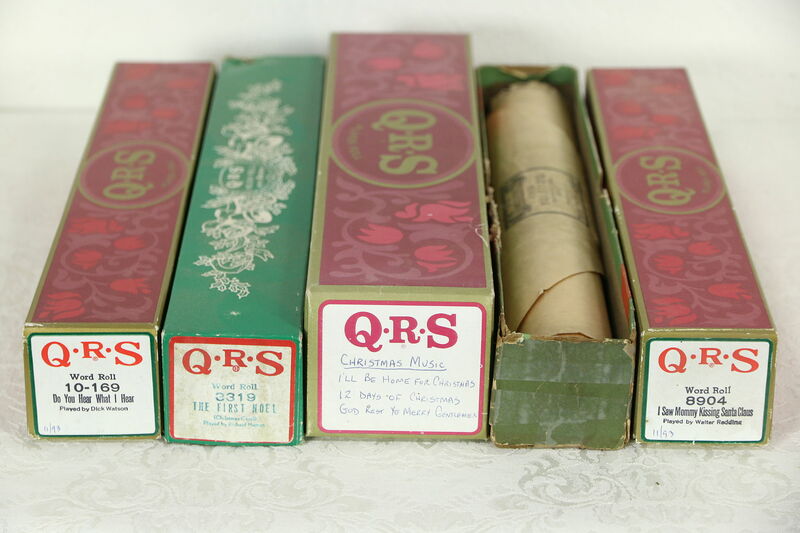 A group of five Christmas player piano rolls of various age and condition include Do You Hear What I Hear, The First Noel, I Saw Mommy Kissing Santa Claus, I'll Be Home for Christmas, 12 Days of Christmas, God Rest Ye Merry Gentlemen, and Christmas Medley. Please view 3 photos at full screen size for best detail.